This makes sense why Canada is the most educated country in the world, Canada’s greatest investment is in education and healthcare. It doesn’t matter which administration or party is in Ottawa they all care about Canadian education. This statistic shows the total number of students who graduated from Canadian Universities from 2000 to 2017. 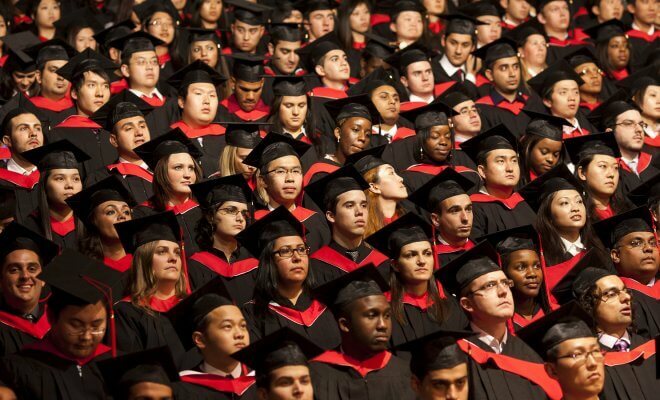 In 2015, total 205,899 students graduated from Canadian Universities. Students who enrolled in University in Canada from 2000 to 2016. In 2016, around 2.03 million students were enrolled in University in Canada. We are seeing this amazing numbers because the Government of Canada is continuing to heavily invest in education thru loans, grants, Scholarships and Subsidization for Universities and colleges. That has been said Canada needs to invest in STEAM – Science Technology Engineering Art and Math because the future jobs are in the technology sectors, and we need to prepare our young workforce for competitive tech career and to stay most educated Country in the World. In Canada, education is seen as the most desirable route to earning a decent living and to enhancing personal growth and happiness. Educated people not only earn higher incomes but also contribute disproportionally to business innovation, productivity, and national economic performance. There is a strong and direct relationship between investments in education, educational attainment, and economic growth. A 2003 multi-country study from the European Commission found that if the national average educational attainment level is increased by a single year, aggregate productivity increases by 6.2 percent right away, and by a further 3.1 percent in the long run.